Wondering what my new book is about? Wonder no more! We are in the final stretch! 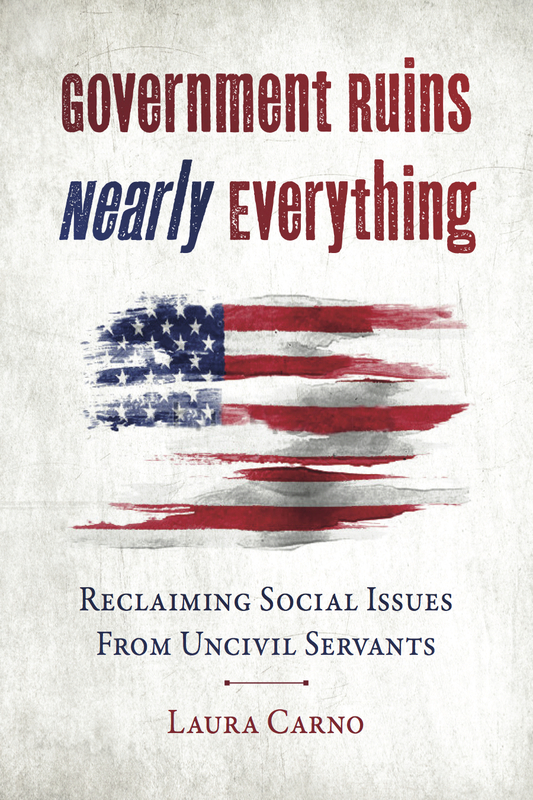 My new book, Government Ruins Nearly Everything, is due out March 30, 2016. It will be available on Amazon.com and I will send the pre-order link to my email list, and post it on Facebook, Twitter and LinkedIn as soon as it’s available. If you are not yet on my email list, I’d be honored to have you as a part of it. You can sign up right here. What is Government Ruins Nearly Everything about? 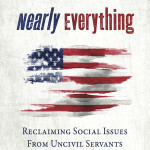 Does the subtitle Reclaiming Social Issues From Uncivil Servants give you an idea? We all know that the government isn’t good at much of anything. Sure, it put a man on the moon, but can you name two things government has done right? Can you name ten things it has done right? Most of us have a lot of difficulty getting past one or two government accomplishments. Why, then, do we turn to the government to solve our problems —especially the most important problems in America? In Government Ruins Nearly Everything, I detail why government can’t solve big problems and why individuals like you and me are better equipped to develop workable solutions. There are individuals and organizations —today— improving problems outside of government and the political process. I tell their stories in this book. Just what are these big problems that government can’t fix but we can? In Government Ruins Nearly Everything, I write about 4 issues that cause the most “fireworks” in the political process: Abortion, Schools, Guns and Marriage. One side of the aisle wants government out of abortion and marriage, but wants government to fix failing schools and reduce gun violence. The other side of the aisle wants government out of schools and guns, but wants government to reduce abortions and strengthen marriage. For most voters, one or more of these issues is very important to them. But if we know government can’t solve our problems —especially those most important to us— why do we keep expecting that they can? And how can we, outside of government and the political process, have a positive impact on those issues most important to us? Government Ruins Nearly Everything answers these questions. I hope this has piqued your interest! I am excited for these ideas to become part of the political conversation.